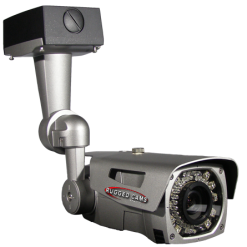 Rugged Cams builds a complete line of security cameras with Extended Temperature capabilities. These cameras are in use all over the world in Walk-in Freezers, Warehouse Freezers, Cold Storage Facilities, Fish Freezing Facilities, Port Cold Storage, Medical Cold Storage, Chilling Tunnels, Beer Coolers, Grocery Coolers, Low Temperature Test Facilities and even Outdoors in environments that go way below the freezing mark. Does your environment get down to -45º C (-49º F) or more? 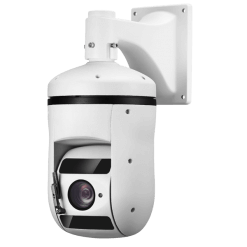 Then these tough, rugged security cameras are what you need because they are built to survive and thrive in ultra-low temperatures. These Extended Temperature Cameras are sealed to IP67 or IP68 standards, which means that they can be washed down with high pressure water routinely. Some models have Fans as well as Heaters, to make sure that the lenses or domes do not fog or condensate during rapid temperature changes, such as when placed near strip doors or heavily traveled access areas. 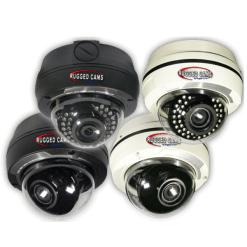 Rugged Cams’ customers use these cameras to keep track of warehouse movements, access and inventory tracking. They also use them to monitor temperature gauges and refrigeration components as well. The Infrared models are extremely useful to keep an eye on contents and problems even when the lights are off. One of our customers use our Extended Temperature PTZ (Pan/Tilt/Zoom) cameras to constantly scan between traffic, access and temperature readouts. A concealed Wiper is also included that removes moisture, melted liquids or fog from the camera lens and lighting portions during use. This is handy during wash-down operations or when used in a facility with misting equipment. No other company builds more Extended Temperature Cameras than Rugged Cams, and no other company has more Freezer Cams in use around the world. We also back these products with 2 & 3 Year Warranties, Lifetime Tech Support, and a fantastic price. Freezer Cameras and Cold Storage Cameras are available in Super-Analog and also HD models. 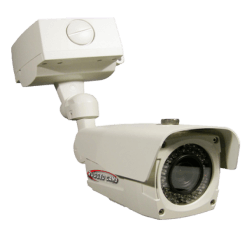 Whatever your need, Rugged Cams can provide a tough, rugged security camera to fill the role.